Bee Pollen is made by honeybees, and is the food of the young bee. It is considered one of nature’s most completely nourishing foods as it contains nearly all nutrients required by humans. Bee-gathered pollens are rich in proteins (approximately 40% protein), free amino acids, vitamins, including B-complex, and folic acid. 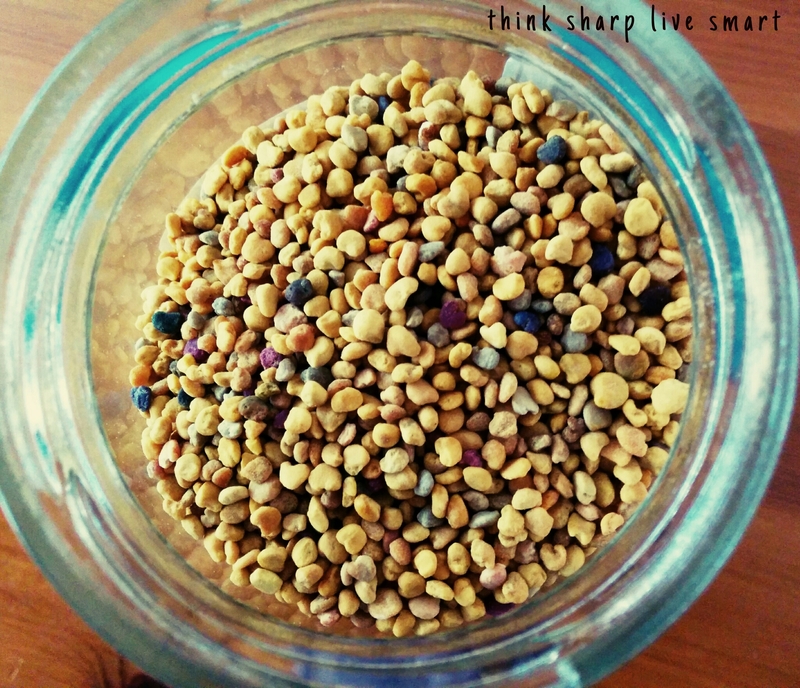 Energy Enhancer – The range of nutrients found within bee pollen makes it a great natural energizer. The carbohydrates, protein and B vitamins can help keep you going all day by enhancing stamina and fighting off fatigue. Skin Soother – Bee pollen is often used in topical products that aim to treat inflammatory conditions and common skin irritations like psoriasis or eczema. The amino acids and vitamins protect the skin and aid the regeneration of cells. Respiratory System – Bee pollen contains a high quantity of antioxidants that may have an anti-inflammatory effect on the tissues of the lungs, preventing the onset of asthma. Treating Allergies – Pollen reduces the presence of histamine, ameliorating many allergies. Dr. Leo Conway, M.D of Denver Colorado, reported that 94 percent of his patients were completely free from allergy symptoms once treated with oral feeding of pollen. Everything from asthma to allergies to sinus problems were cleared, confirming that bee pollen is wonderfully effective against a wide range of respiratory diseases. Digestive System – In addition to healthful vitamins, minerals and protein, bee pollen contains enzymes that can aid in digestion. Enzymes assist your body in getting all the nutrients you need from the food that you eat. Treats Addictions – Used holistically for healing addictions and inhibiting cravings by suppressing impulses. Because bee pollen crashes cravings, it is a very useful research is needed into this benefit, particularly when it comes to weight management. Supports the Cardiovascular System – Bee Pollen contains large amounts of Rutin; an antioxidant bioflavonoid that helps strengthen capillaries, blood vessels, assists with circulatory problems and corrects cholesterol levels. Its potent anti-clotting powers could help prevent heart attack and stroke. Prostate Aid – Men who suffer from benign prostate hyperplasia can find relief by using bee pollen. Bee pollen can help reduce inflammation to stop frequent urges to urinate. Infertility Problems – Bee pollen stimulates and restores ovarian function, therefore may be used to assist in accelerating pregnancy. As well as being a hormonal booster it is also a great aphrodisiac!